With the identity of the mole now closer than ever, Olivia and her team are in very real danger. Meanwhile, the latest White House scandal pushes Cyrus to his limits. As the team gets closer to the truth, loyalties are tested and relationships are pushed to the limit. 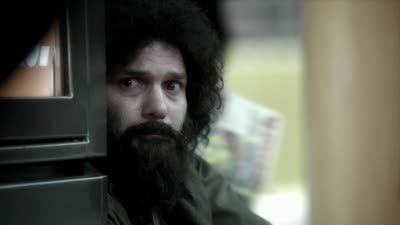 Meanwhile, Cyrus has to deal with his own crisis and he realizes that he may have gone too far. Election Day has arrived and nothing is off limits as the candidates try to capture votes. Meanwhile, Olivia tries to understand Maya's motives and Charlie makes a very surprising move. 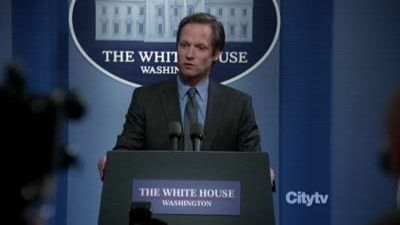 The White House is in the middle of its biggest scandal to date and Cyrus is in the eye of the storm. Meanwhile, someone close to Olivia betrays her and the team. A security breach calls for an all hands on deck situation at OPA. 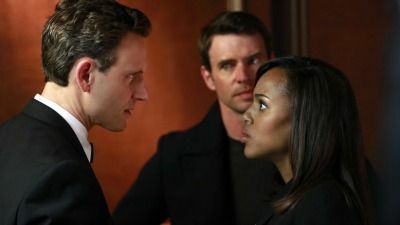 Fitz’s re-election campaign becomes stalled and he considers going against Olivia’s advice. Meanwhile, Adnan and Maya continue to plot their next move. 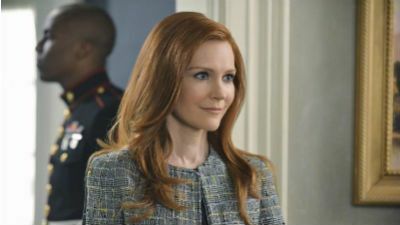 Abby steps in as Olivia’s proxy and takes on duties at the White House. Meanwhile, the team continues to investigate B613, and someone throws a wrench in Reston’s presidential campaign. With Huck being held under the Patriot Act, Olivia and the team get unexpected assistance from an old friend. 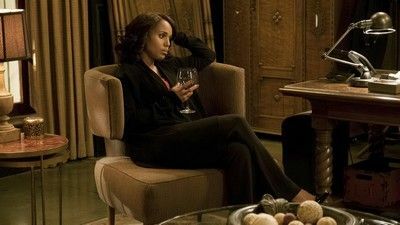 Meanwhile, Olivia helps Mellie out of a very compromising situation that could affect Fitz's future, and her relationship with Edison reaches a boiling point. 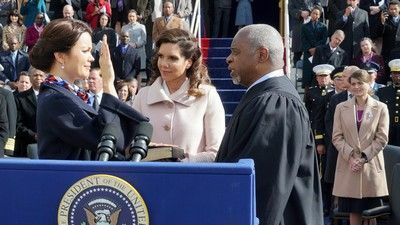 As Mellie is being sworn in, the Gladiators find out that there is a traitor standing on the dais and Olivia works to find out who it is. Now that the truth is out there, things will never be the same and everyone will have to face the consequences of their actions. Olivia and the team try to handle both uncovering the truth behind Operation Remington, while also managing a potential crisis with the Josie Marcus campaign. 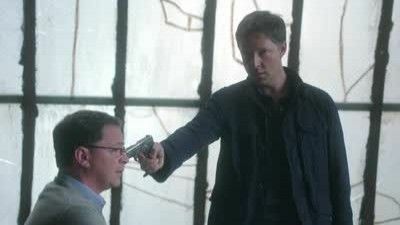 Meanwhile, Quinn falls further down the rabbit hole with Charlie, and Cyrus creates a plan to take down Sally, but doesn't think of the possible harm he could inflict on himself. After discovering new information about the assassination of Frankie Vargas, Olivia makes a shocking decision and asks Huck to complete one of the most difficult tasks yet. The team continue their investigation into the mole and make a shocking discovery in the process. 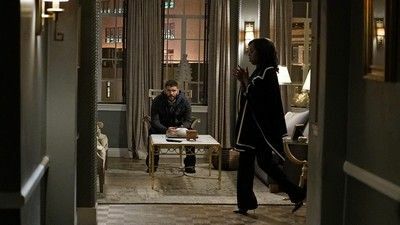 Meanwhile Fitz orders Jake to continue to protect Olivia, who is still very much in danger, and back at the White House Mellie's ultimatum forces Cyrus into the role of "fixer." With Olivia's name out there as the President's mistress, both the White House and Pope & Associates face their biggest scandal to date, and a surprise allegiance is formed in order to get things handled. Meanwhile, Olivia's father, Rowan, will stop at nothing to carry out his orders and no one, including Olivia, can stand in his way. A national tragedy forces Olivia to return to work at the White House. 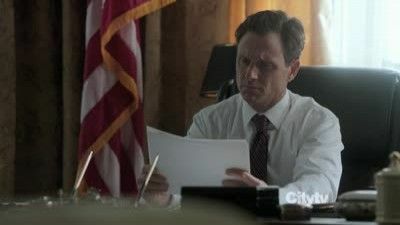 Meanwhile, we learn more about the first few days of Fitz's presidency. 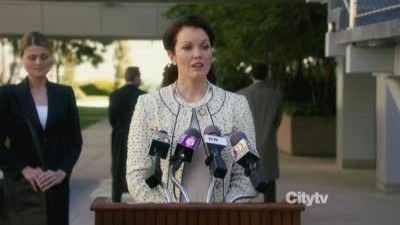 The election results for the presidential race between Mellie Grant and Francisco Vargas are announced, and the shocking results lead to an explosive outcome. A Midwestern mom hires Pope & Associates under mysterious conditions that lead to a very dangerous situation. 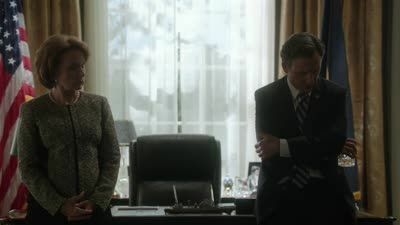 Meanwhile, Fitz and Mellie admit their true feelings for each other. 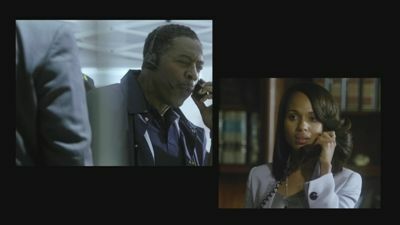 While Olivia engages in an emotion-filled conversation with Fitz, her team works to help one of their own. 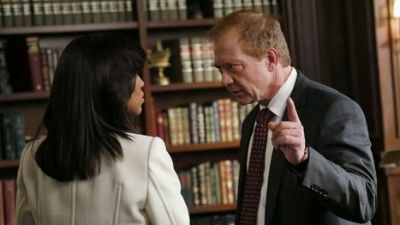 Cyrus becomes skeptic towards his husband and Mellie is near to bringing the white house down. Through flashbacks we learn more about Olivia's estranged relationship with her father. Meanwhile, both the White House and Pope & Associates are still in the middle of cleaning up the very big and very public mess they created. Sally sets a meeting with the NRA which sends the White House into a tailspin. Olivia and Huck come to shocking realizations and a surprising person asks for help from Pope and Associates. 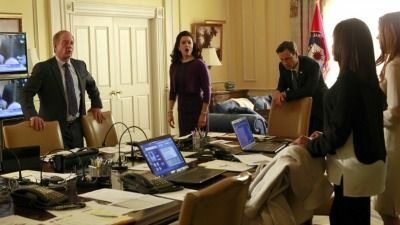 When Quinn finds herself in a tragic and compromising position, Olivia and the team rush to her side; all the while, a reluctant Cyrus must turn to Olivia when Billy Chambers makes an announcement that shakes Fitz's presidency to its core. It’s a race against the clock when Olivia and OPA’s investigation into the conspiracy puts one of their own in grave danger. While working in the White House, Olivia helps Vice President Sally Langston; Cyrus stumbles across the truth about James's secret investigation; and one of Olivia's associates struggles to come to terms with a shocking betrayal. A well prepared Fitz gets thrown a curve ball during the first presidential debate, Olivia receives shocking news and is forced to make an extremely difficult decision, and the gladiators work with a powerful CEO accused of murder. Meanwhile, one dirty little secret could lead to deadly consequences. 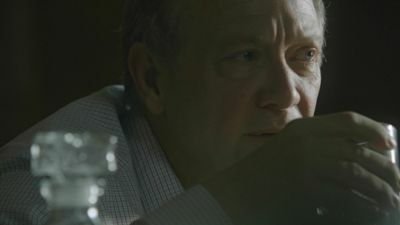 Olivia, still unable to believe that Jake is guilty, sets her eyes on Tom for additional information, and when Leo Bergen’s newest client causes a gut wrenching reaction, her associates spring into action. 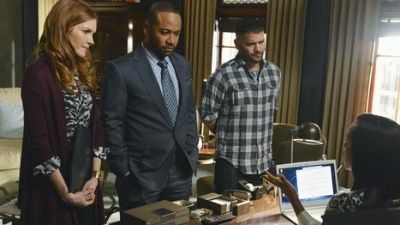 Meanwhile, Huck continues to play with fire, Mellie makes a power move and Elizabeth’s shocking alliance is revealed. Harrison leads the team in managing a billionaire businessman who seems to have lost his sanity; meanwhile, Olivia and the White House prepare to celebrate the President's 50th birthday, as James continues to investigate Cytron and discovers something that could change the fate of the country.